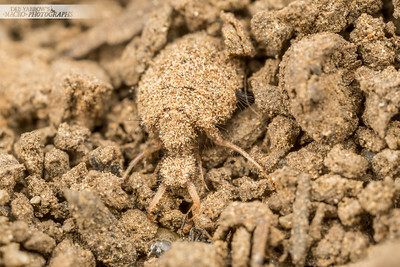 A collection of images featuring creatures that have mastered the art of hiding out in the open. 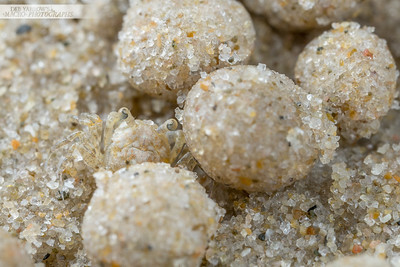 Tiny sand crab (4mm wide) hides among sand balls made by much larger crabs on the beach. Woodgate, QLD. 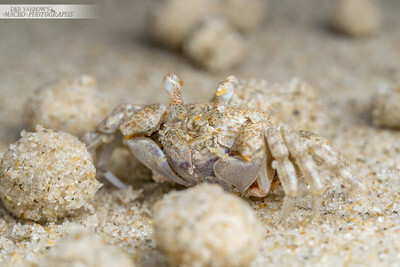 Tiny beach crab hides among the balls of sand created from digging tunnels. Woodgate Beach, QLD. 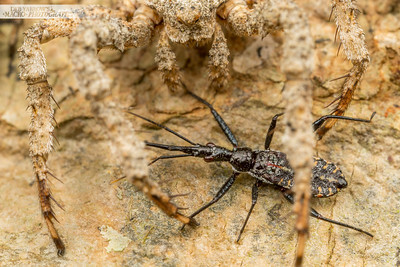 Beautifully camouflaged hunting spider carefully approaches the bug before deciding to equally carefully back away. Murarrie, QLD. 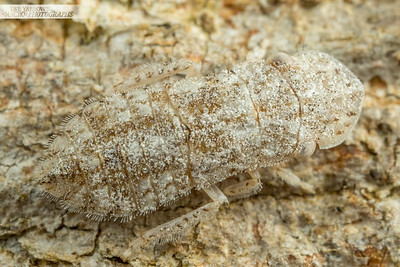 Scaly-winged bark louse hides very well on tree bark. Oxley Creek, QLD. 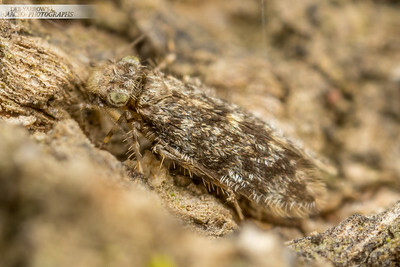 Issid hopper (Cotylana sp.) 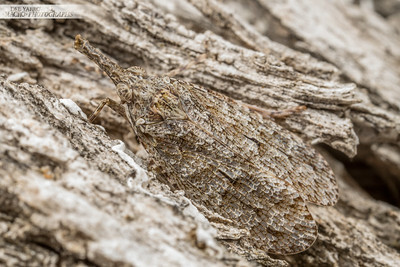 is very well camouflaged on tree bark. Oxley Creek, QLD. 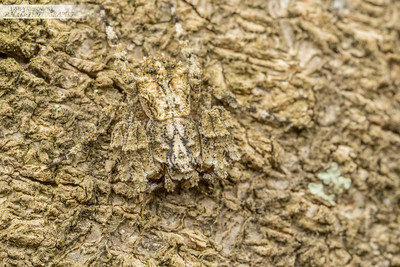 Knobblye crab spider hides out in the open. Oxley Creek, QLD. 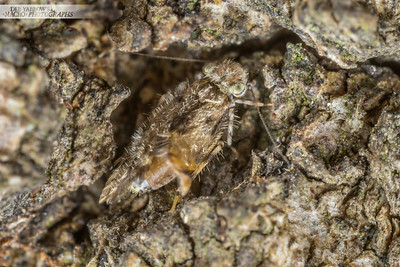 I've never seen a hairy bark louse! 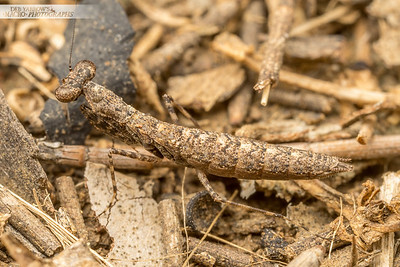 It was very small and very fast and impossible to see against the bark unless it moved. To get this photo I had to keep my eye on the spot I last saw it while I changed settings on my camera. 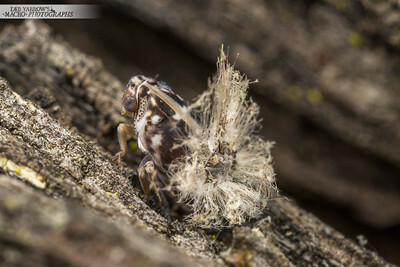 Once I had the lens up to max magnification and found the right spot on the tree, this little critter came into view. It looks like it has a malformed or injured wing (the blurry bit sticking out towards the viewer) which didn't impede the incredible swiftness with which it navigated the rough bark. I was lucky to be watching the right bit of tree at the right time - I only saw it move twice. On a technical note, I have cropped and rotated this image 180º because when I first saw it onscreen it seemed too confusing upside down. 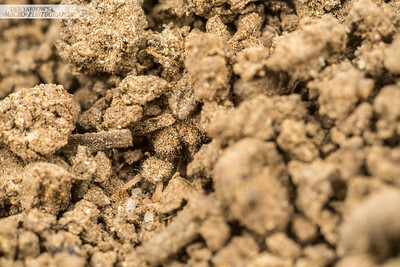 This is the best camo I've seen on any insect so far. Oxley Creek, QLD. 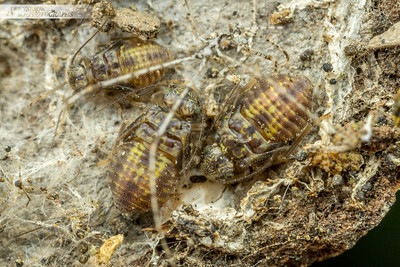 Bark lice nymphs stick together. Oxley Creek, QLD. Gum Lanternfly (Eurinopsyche sp.) is the master of camouflage. Mundubbera, QLD. 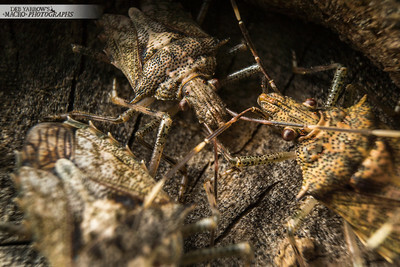 Bugs hanging out in the knot of a tree, hoping to get some hot giggedy action. Sherwood, QLD. Reminds me of my cat for some reason... Toowong, QLD. 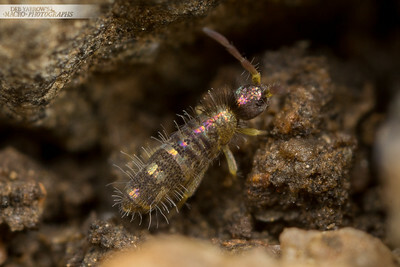 Springtail has scales like a moth or butterfly. 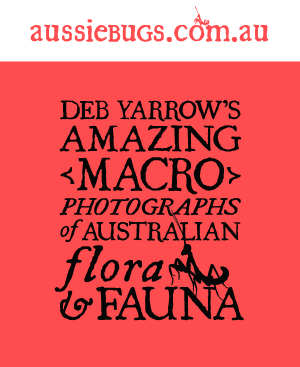 Less than 1mm in length, multitudes of these hexapods inhabit the grassy areas of a local park. Toowong, QLD. 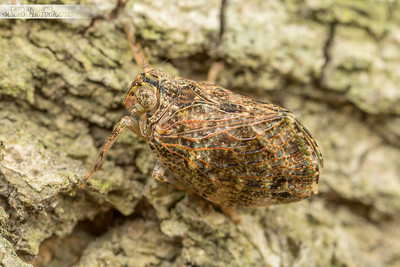 Another marvel at camouflage, this leafhopper hides out in the open on a gum tree. Cambroon, QLD.